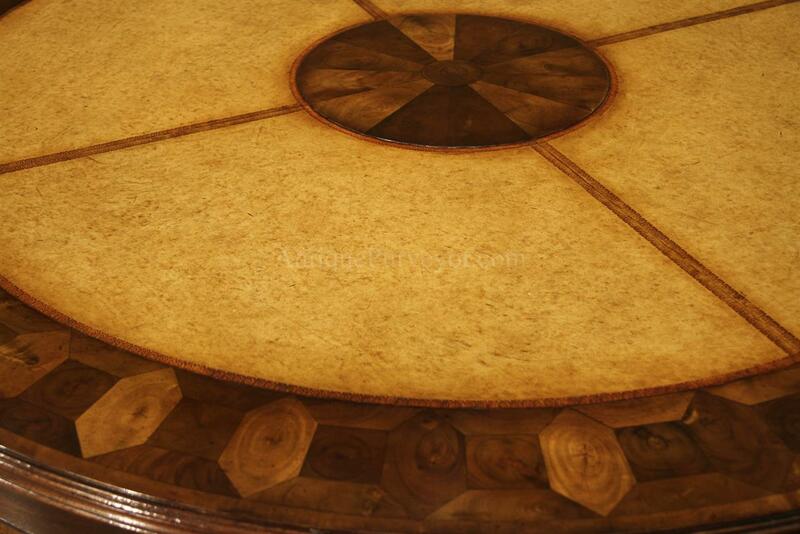 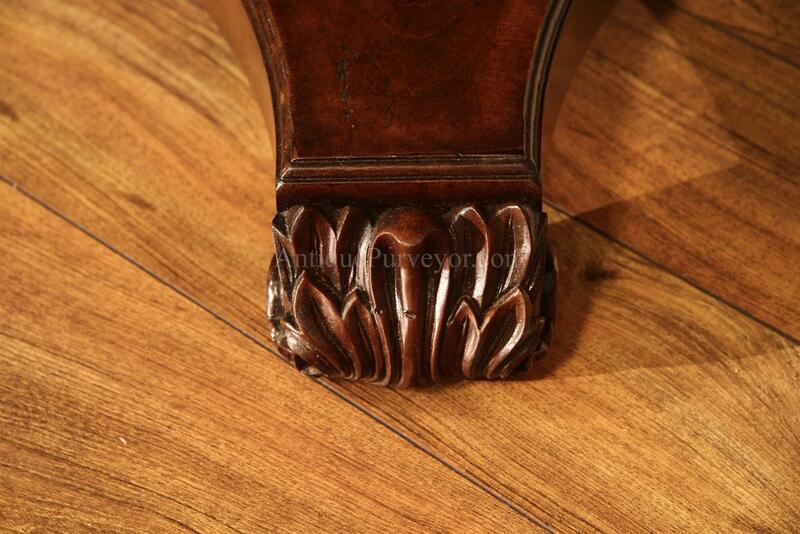 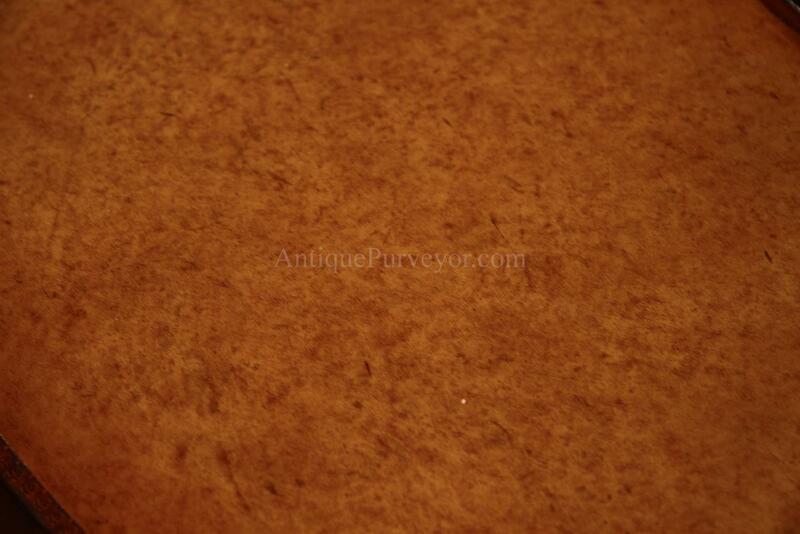 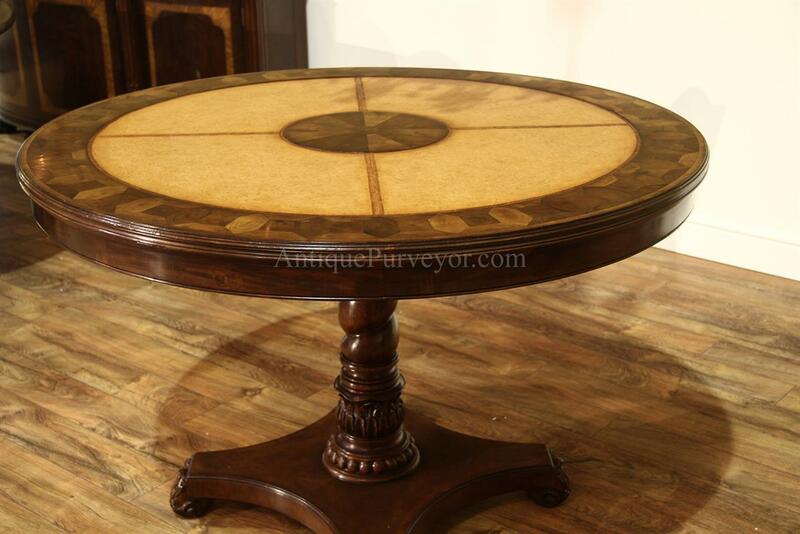 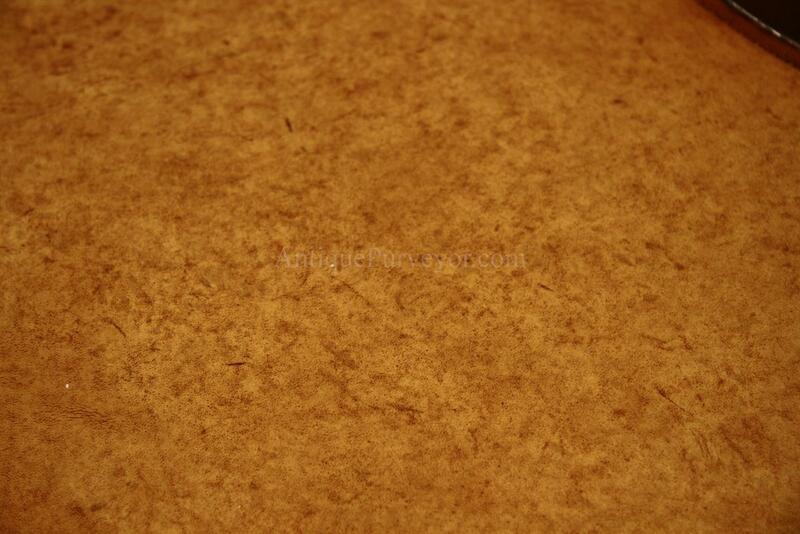 Description: Leather top Regency style center table, library table, games table or breakfast table. 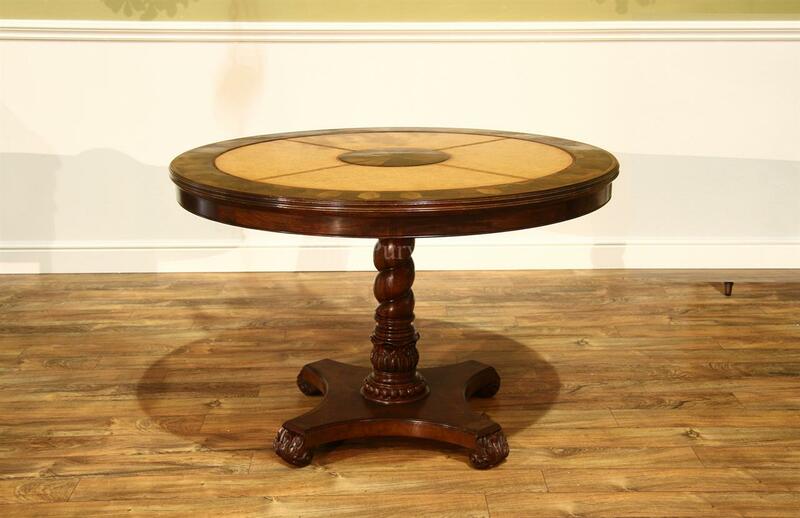 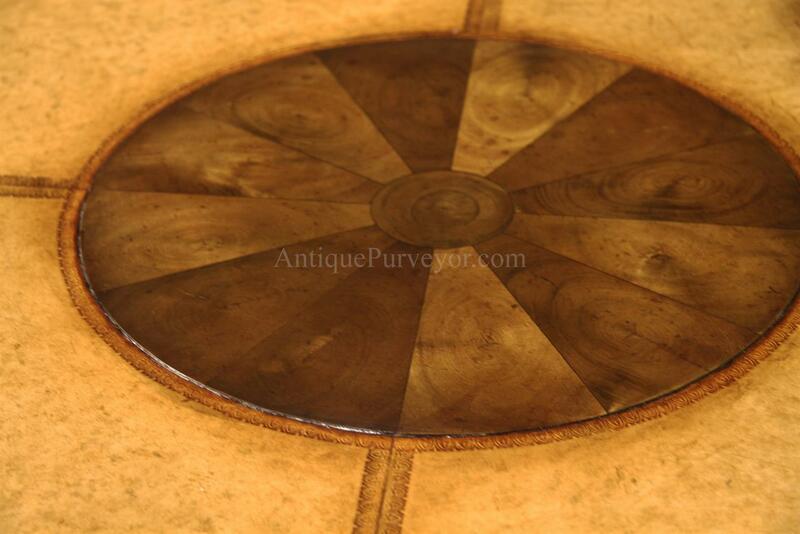 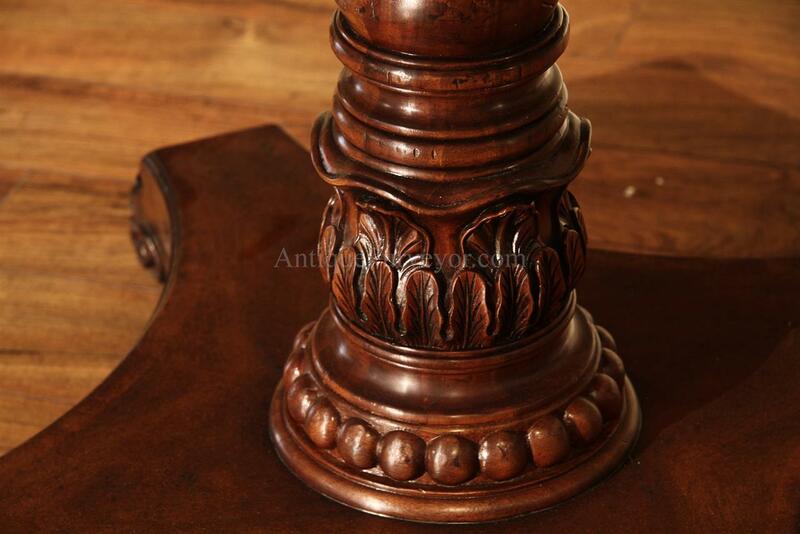 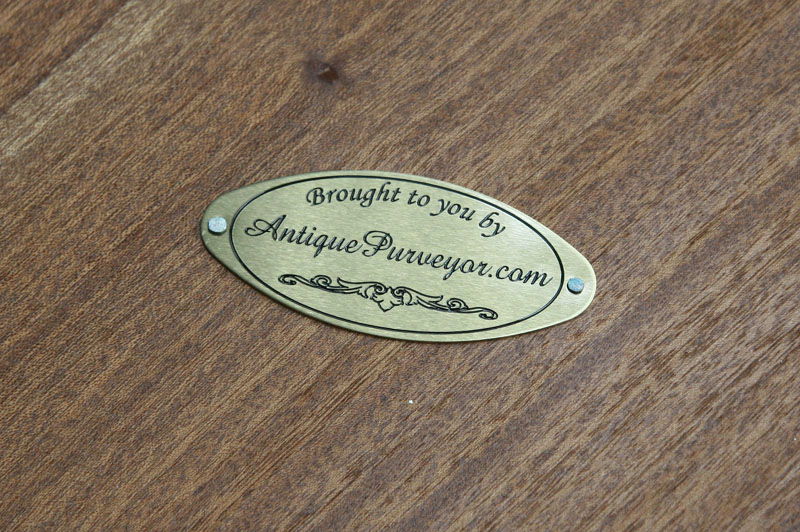 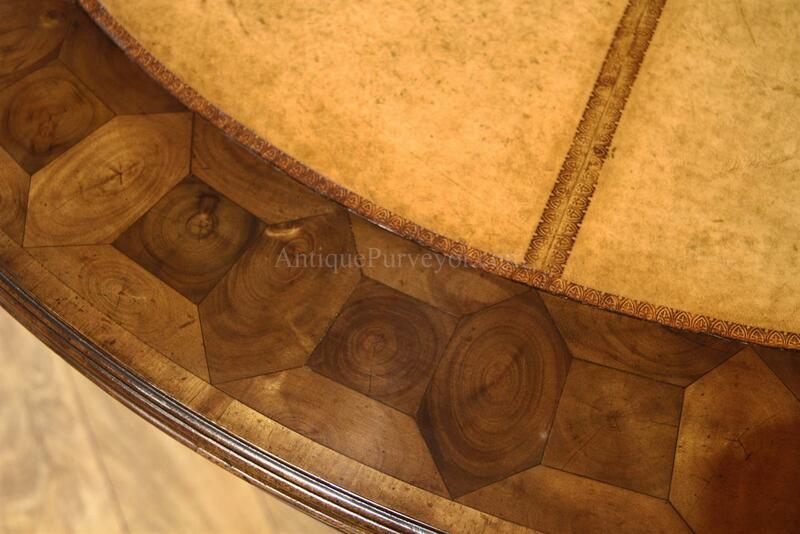 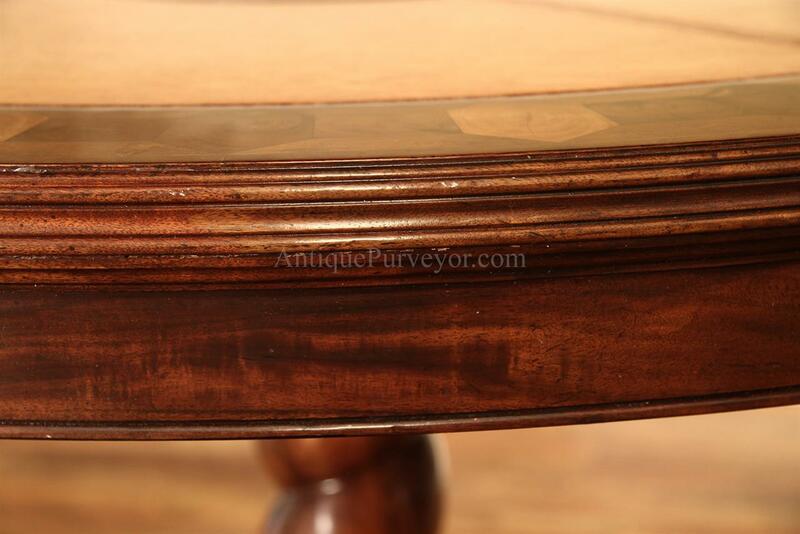 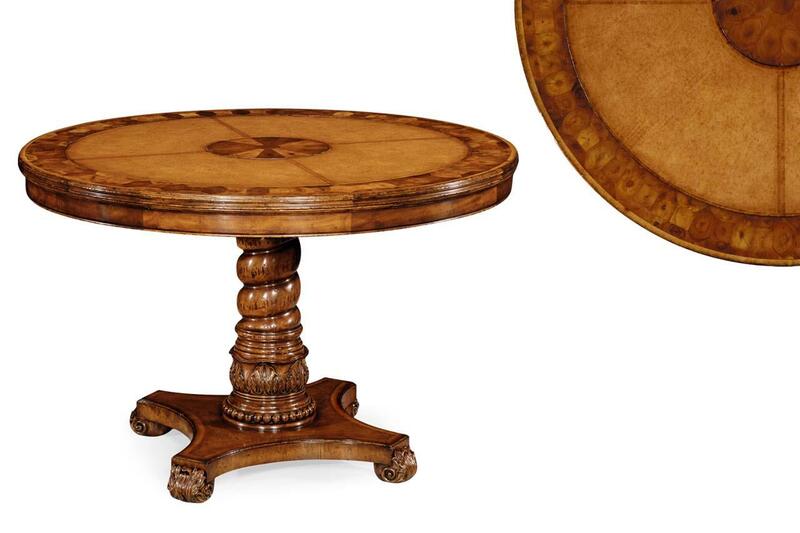 Heavy and outstanding quality 18th century antique reproduction pedestal table in a walnut finish. 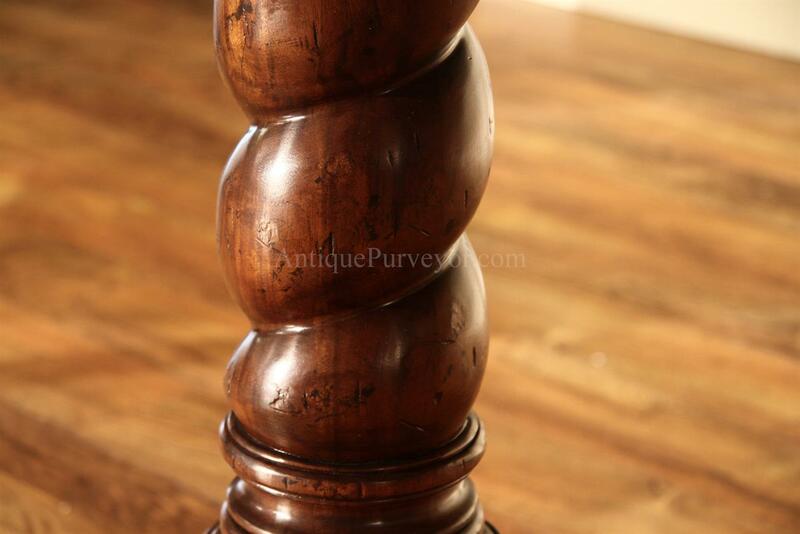 Scroll feet and sturdy plaform base. 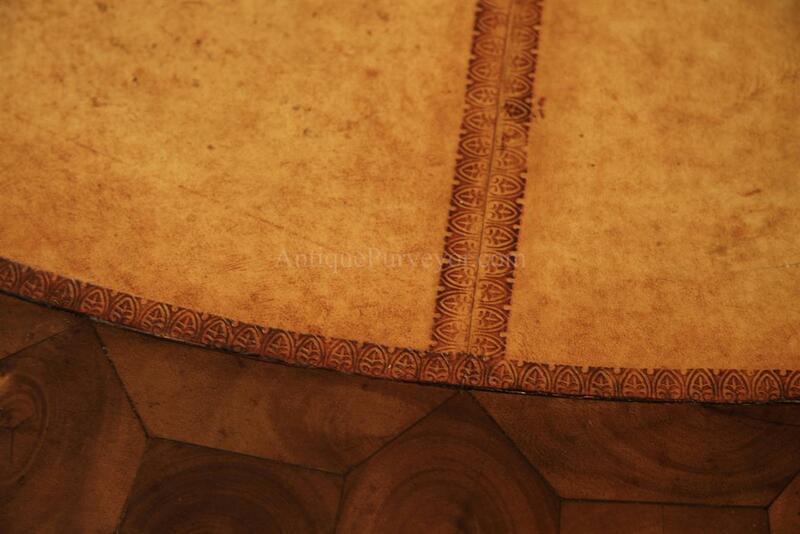 Leather inset top with oyster burl inlaid border and oyster burl center.